Mas Can Buixat. Come and enjoy. 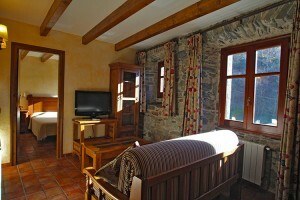 Awaits a world of sensations, surrounded by the most vivid nature Girona Pyrenees. Welcome to APARTMENTS MAS CAN BUIXAT of setcases the Vall de Camprodon, Ripollès. A beautiful Catalonian farmhouse built in 1784, transformed into different and comfortable holiday apartments rural mountain.